Rapid rolling MTB fun and efficiency. 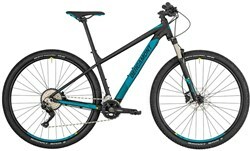 The Mondraker Phase Sport 29er is a hardtail mountain bike for cross country adventures and trail centre loops. The Phase frame is made from custom 6061 aluminium alloy for a strong and lightweight platform. The relaxed cross country geometry offers an efficient and comfortable riding position for off-road riding. The 29” wheels are fast rolling on smooth terrain and carry speed incredibly well over rough ground. The Suntour XCM 29 fork gives you 100mm of suspension travel to smooth the trail ahead and features a hydraulic lock out so you can ride more efficiently on smooth tracks. The Shimano 3x9 speed drivetrain offers a wide range of gears so you can take on all the climbs on your route. When gravity takes over the Tektro hydraulic disc brakes give you confident all-weather stopping control. 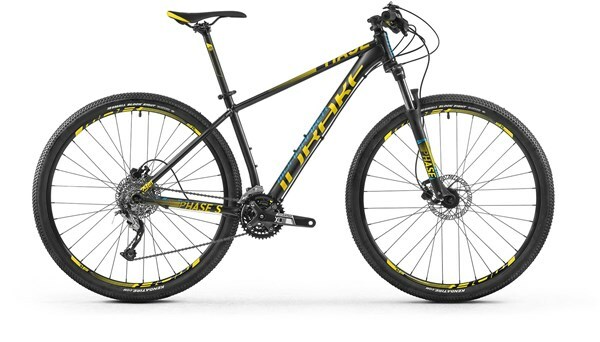 Ride XC trails quicker on the Mondraker Phase Sport 29er.